£20 *approx - check retailer for live price. In the mood for some saucy fun in the bedroom? 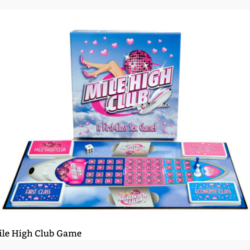 Have a giggle and get frisky in the process with this globally popular board game. 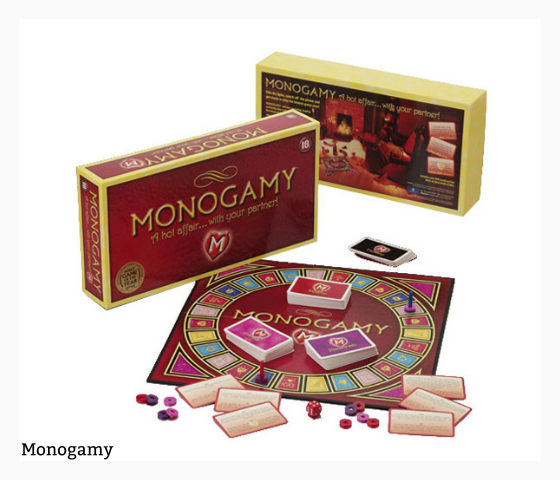 It goes by the name of Monogamy. A great way to have giggles behind closed doors. Be prepared for a bit of silly roleplay too! Thanks to so many cards it means you can skip over the ones you aren’t comfortable doing. Here’s a cheesy video showing off the game. It’s probably not the best video, but it gives you an idea. It does have some sensual music so make sure your device isn’t too loud if others are within earshot. As you can see the video oozes corniness! But gives you some idea of what it looks like. As you can see there are plenty of cards on the board to keep you going for a long time. It’s not just one night of fun, potentially many nights of fun. Who will win out of you and your partner?